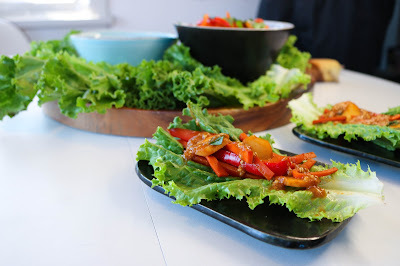 Another awesome share-plate dish. 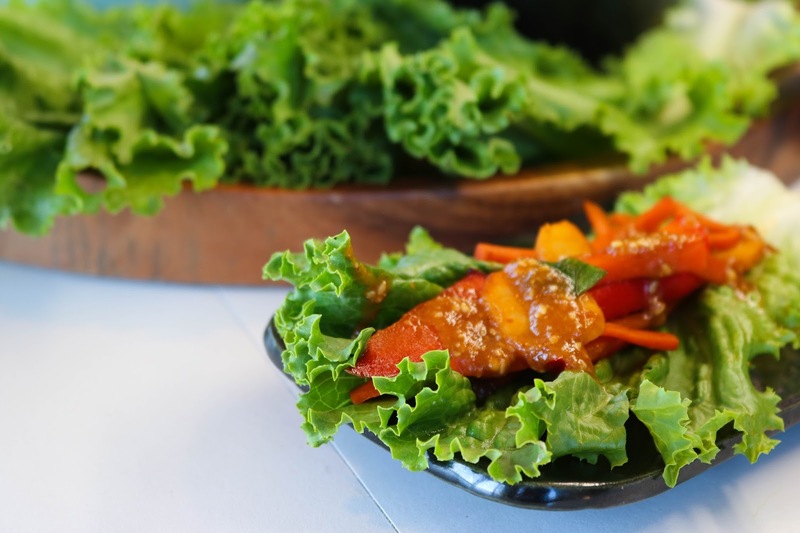 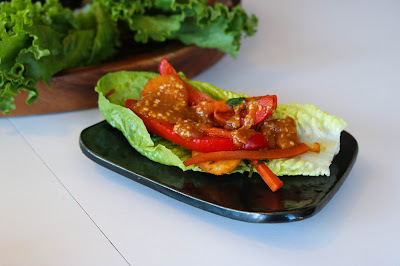 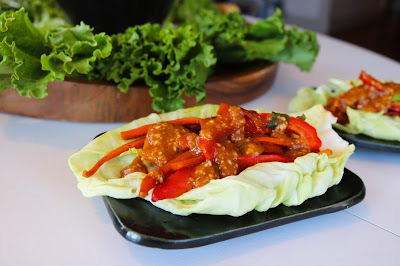 Super simple, only a few ingredients and can be prepared really quickly, especially if the peanut sauce is prepared in advance. 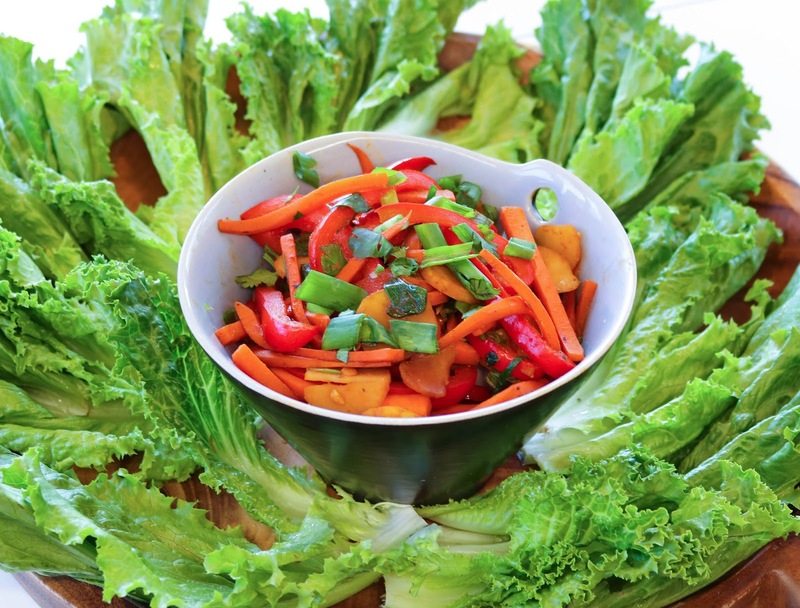 Works great with green leaf, romaine lettuce or cabbage. 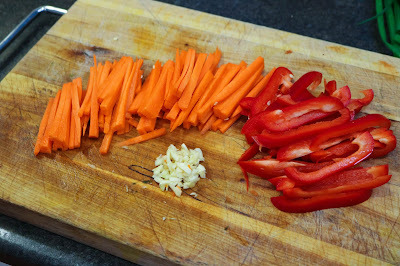 Julienne slice the carrot and red bell pepper. 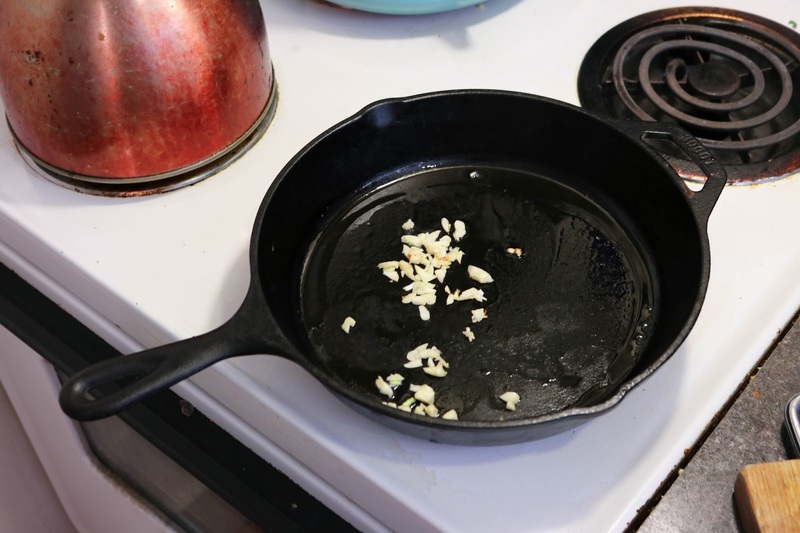 Chop up garlic. 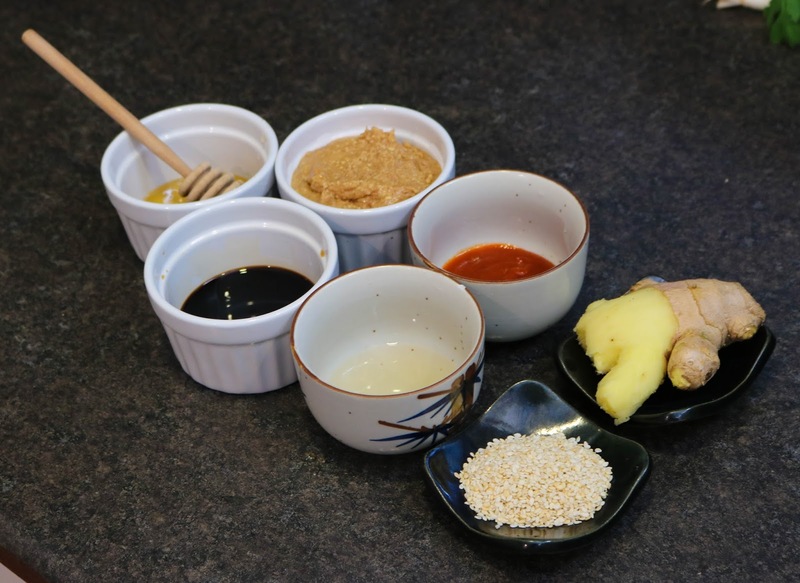 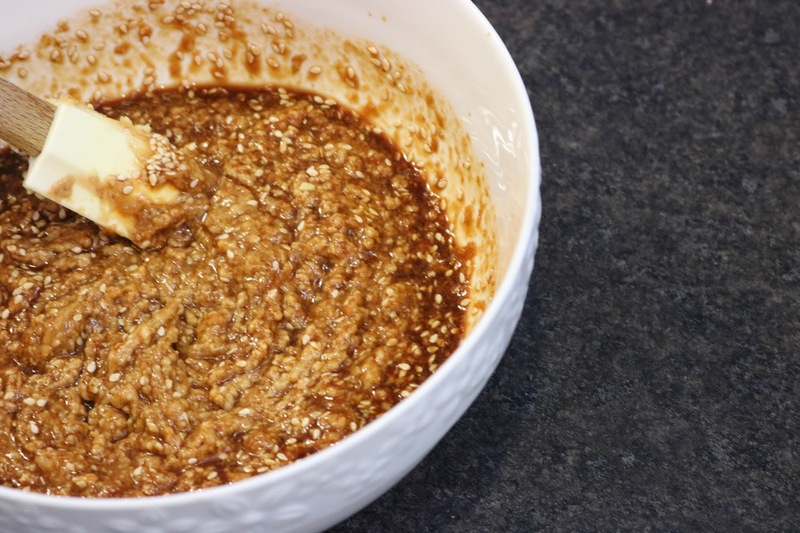 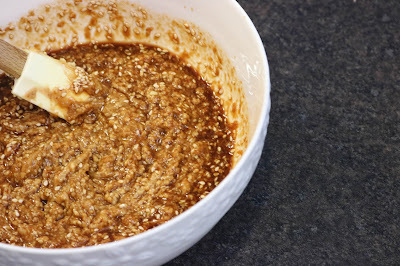 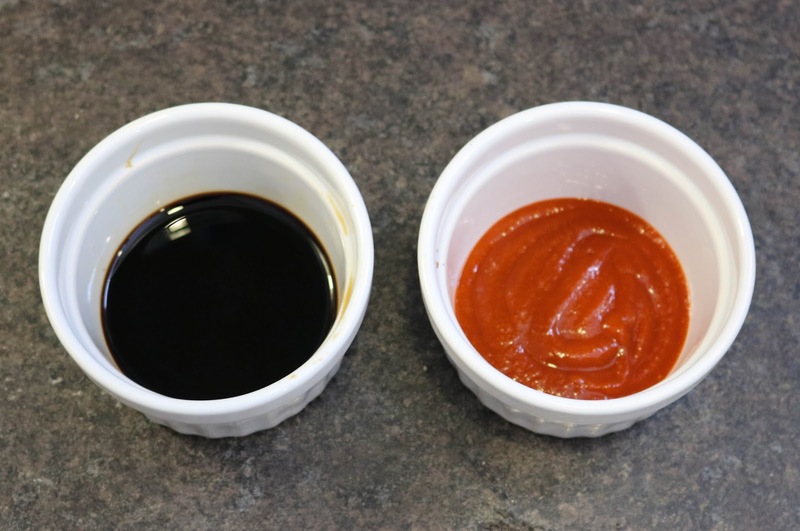 Combine peanut butter, soy sauce, Sriracha, honey, rice vinegar, sesame seeds and ginger. 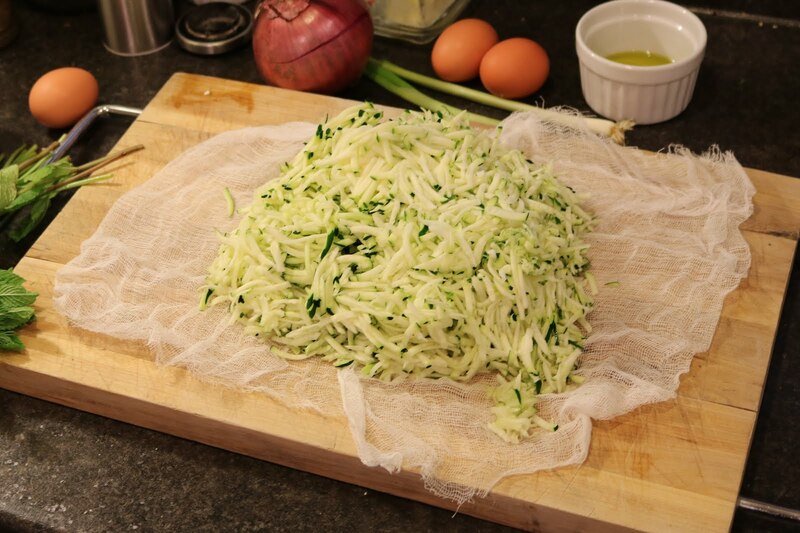 Mix well and refrigerate. Heat oil to med-high heat. 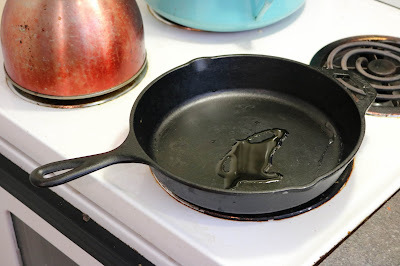 Fry garlic for 30 seconds. 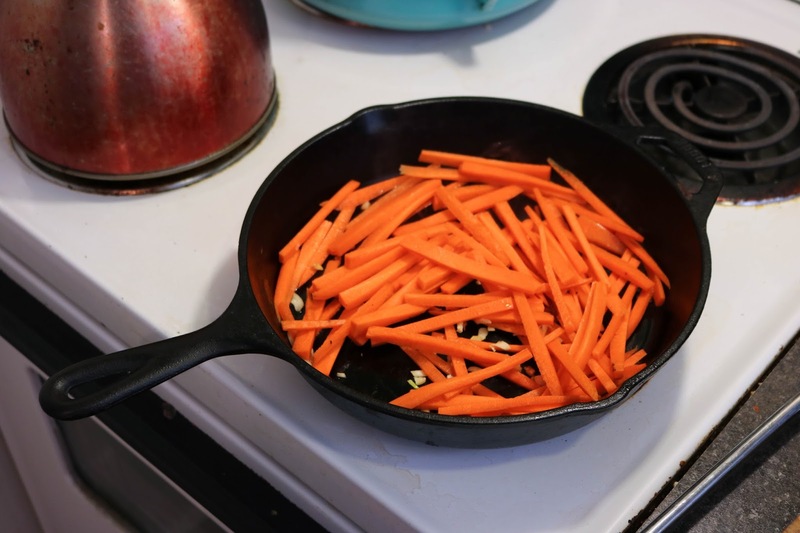 Add carrot and cook for 3 minutes. 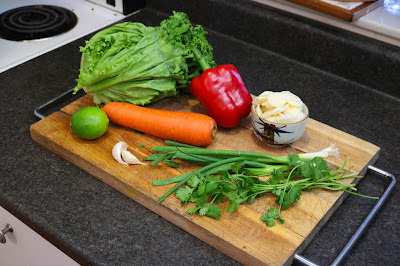 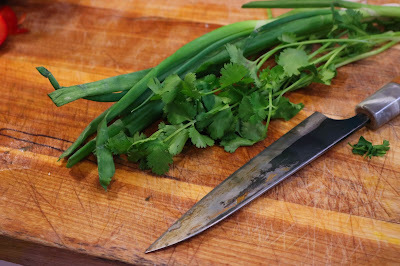 Chop up cilantro and green onion. 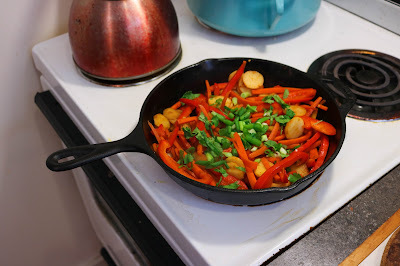 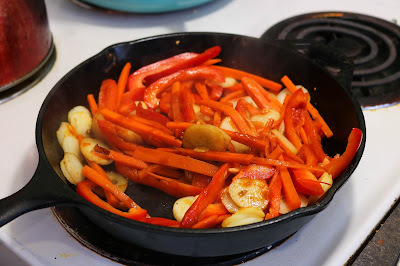 Add red pepper and water chestnuts to pan and cook for 3 minutes. 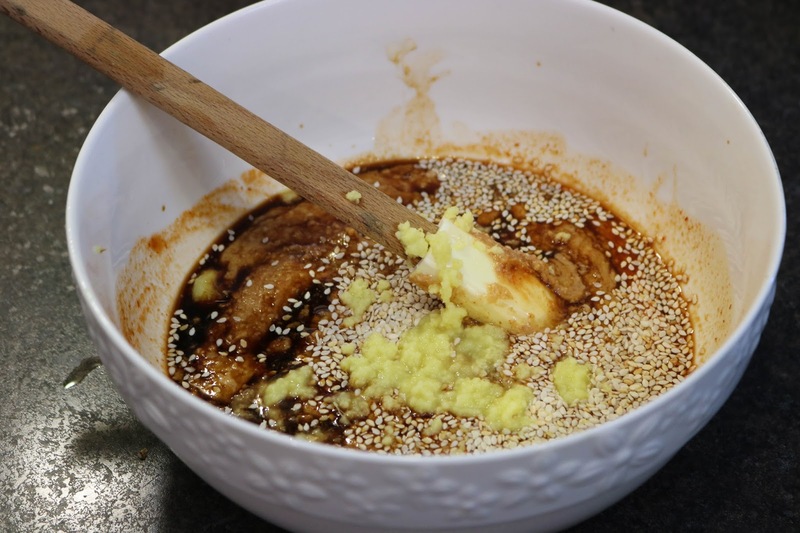 Add soy sauce and Sriracha and cook for another 3 minutes. 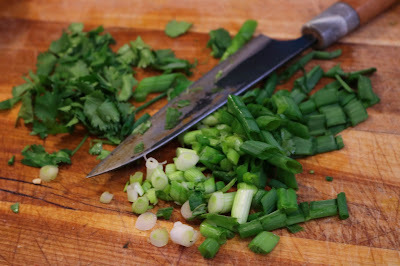 Add half of cilantro and green onion and stir in. Plate and top with remaining cilantro and green onion. 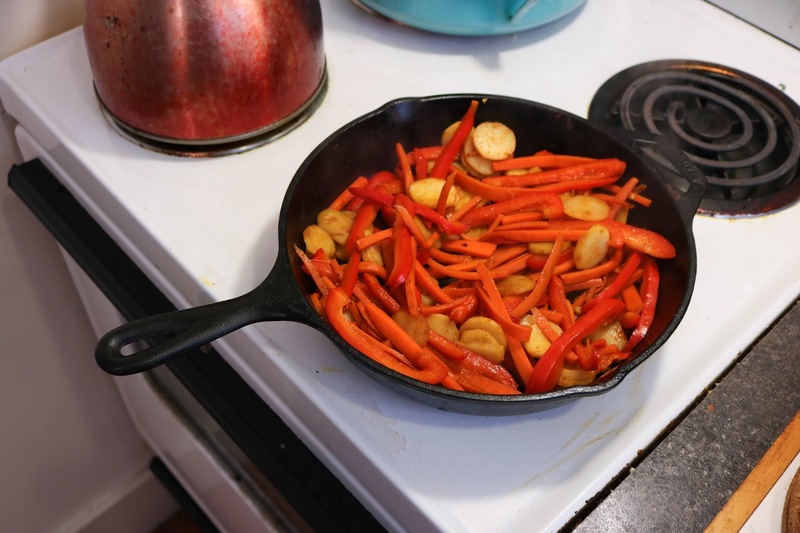 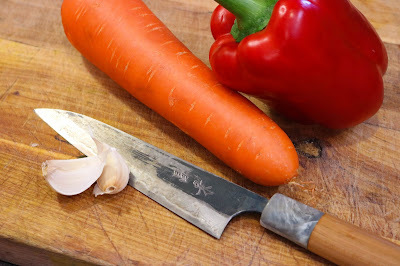 Julienne slice carrot, red bell pepper and chop up garlic. 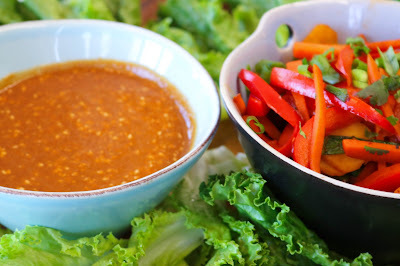 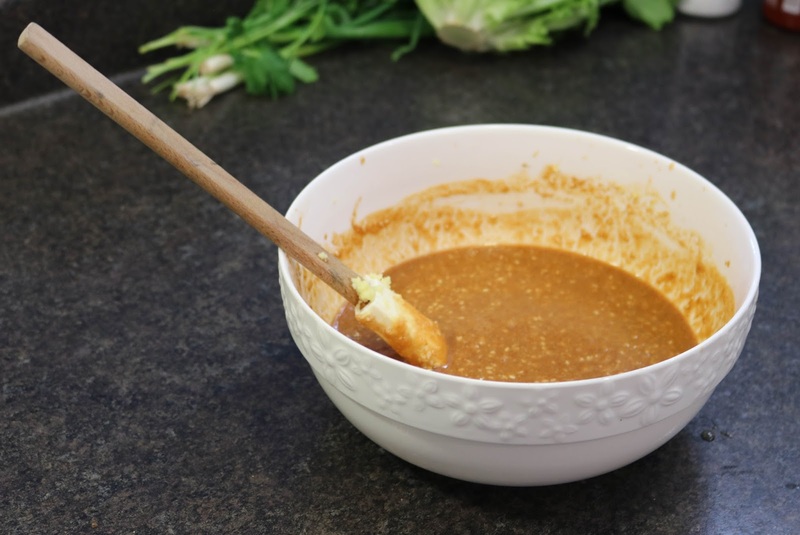 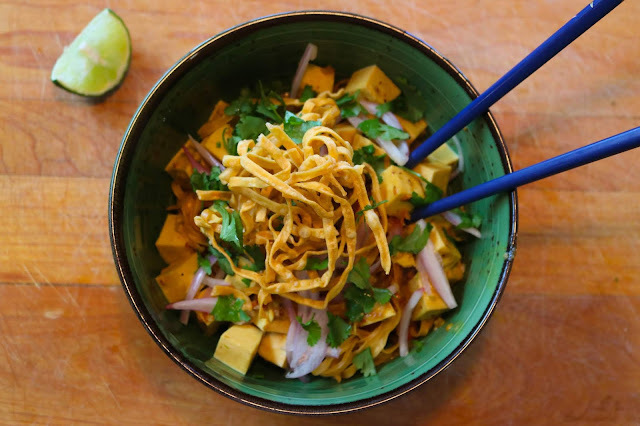 Combine all ingredients for peanut sauce. 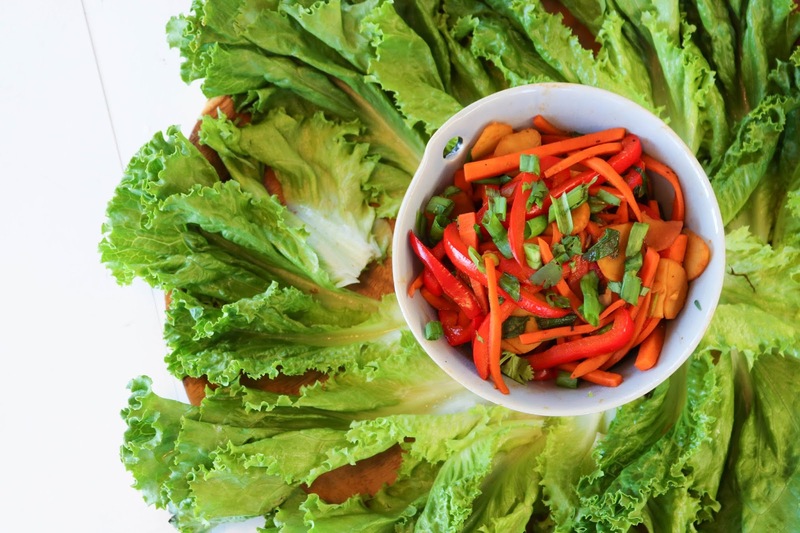 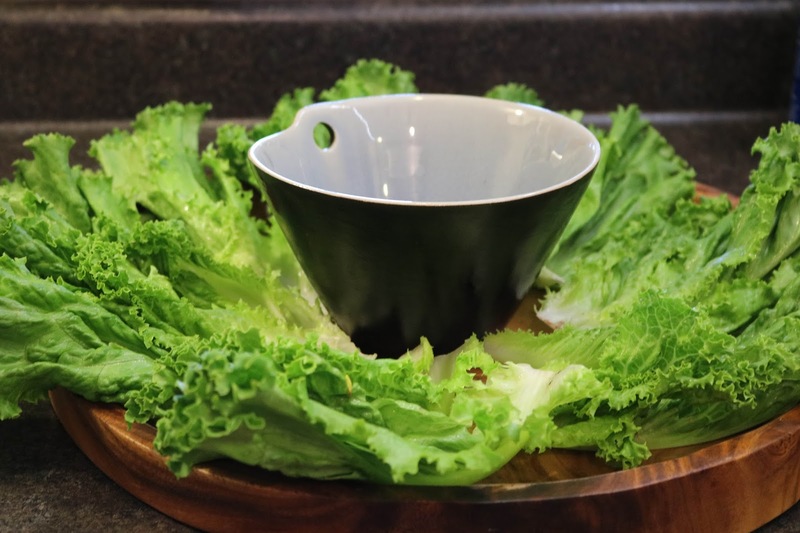 Clean, dry and plate lettuce. 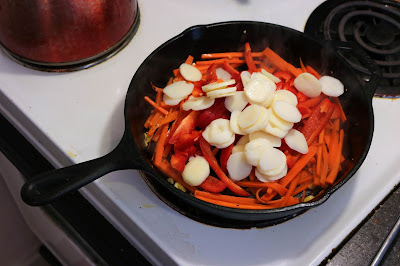 Add red pepper and water chestnuts and cook for 3 minutes. Add sriracha and soy sauce mixture and cook for another 3 minutes. Stir in half of cilantro and green onion. Also tastes great with cabbage or romaine lettuce.